The Dufour 412 Grand Large places herself among the flagships of the Grand Large range with her functionality and beauty. Dufour Yacht engineers and Felci Yachts Design team have outdone themselves on this beautiful cruising yacht, integrating all functionalities thus far reserved for bigger sized sailing yachts. With her new look and her new equipment, the Dufour 412 captures all the attributes of an exceptional yacht and naturally places herself among the upscale level in her Class. West Florida Yachts would love to guide you through a personal showing of this 41' Dufour 412 Grand Large 2019. 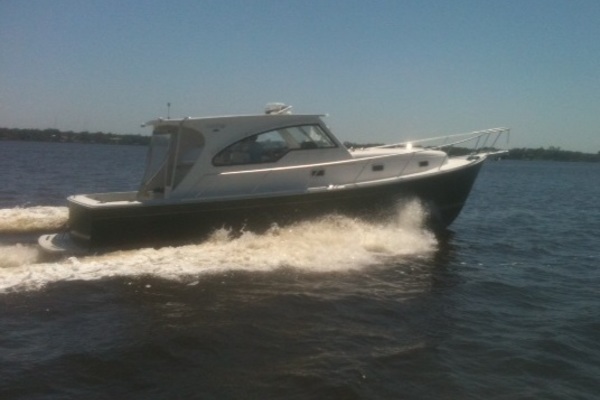 This yacht for sale is located in Marina del Rey, California and priced at $337,873. For a showing please contact us by filling out the form on this page and we will get back to you shortly!